Despite its name, flowering rush is not closely related to true rushes but is, in fact, a unique flower with a genus and family (the Butomaceae) all to itself. 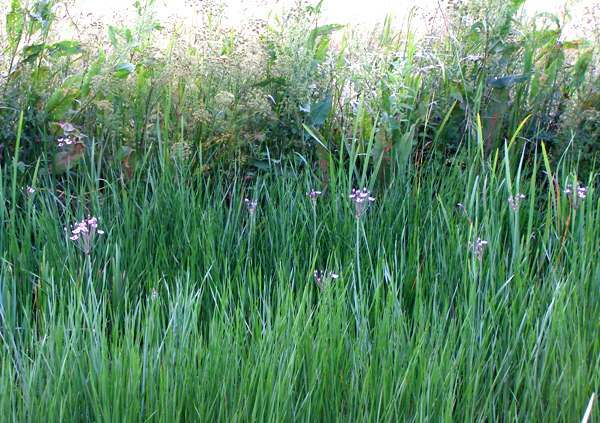 Flowering rush grows up to 1.5 metres tall. 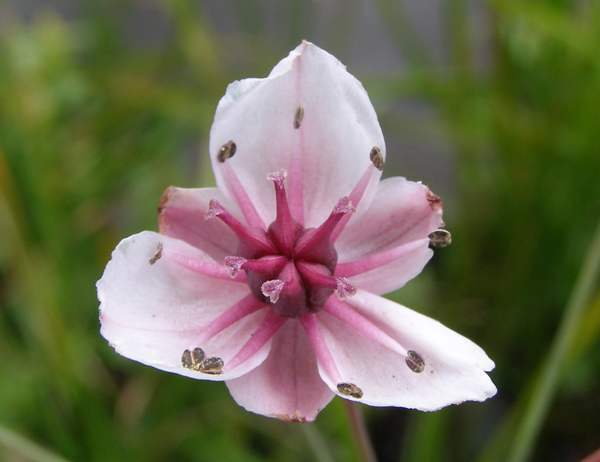 Its rose-pink flowers each have three petals backed by three smaller and rather darker sepals. As the seed pods ripen, the sepals and petals turn brown but persist until the six segments of the pod split to release their many tiny seeds. Flowering rush blooms between June and September. In the wild this plant grows with its roots in slow-flowing water, so canals and ponds are good places to investigate when looking for it. 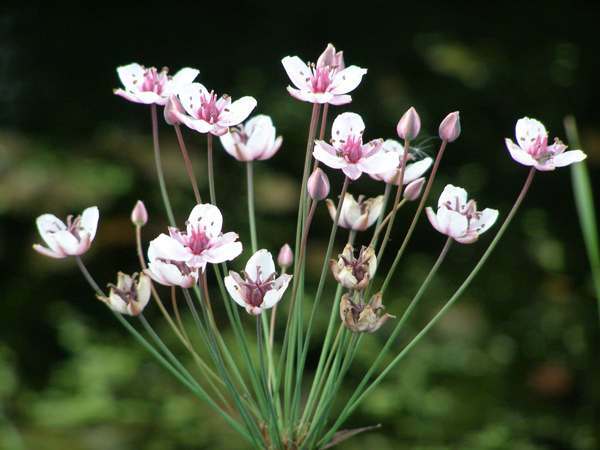 Flowering Rush is more frequently (and much more easily) found in ponds in gardens and parks.